Pacific Inn does their fish & chips a little differently than most. 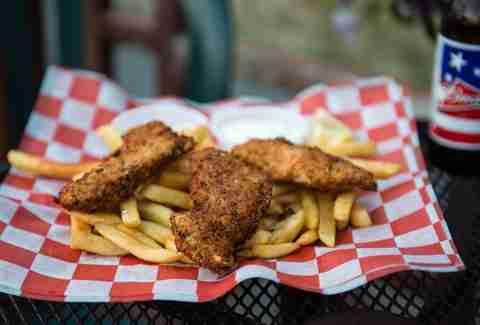 Their version kicks harder, thanks to a powerful spice combo and extra-crispy breading, and would make the nautical-inspired bar next to Gas Works Park a staple even if they didn't also have a killer happy hour and sweet patio for outdoor boozing. 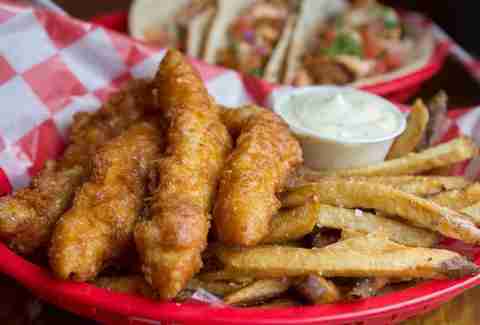 The best thing about this legendary Ship Canal-side fast foodery might be its seven-and-a-half-hour happy hour, but the second best thing is definitely their selection of this classic combo, which includes beer-battered Alaskan halibut, their world-famous Alaskan true cod, and more. Open until midnight on weekdays and 2:30am on the weekends, PSFF is one of Cap Hill's sweetest late-night nosh destinations, effortlessly luring Neumos/Barboza show-goers to this almost-seatless spot with fish tacos, fried asparagus, and... duh!... 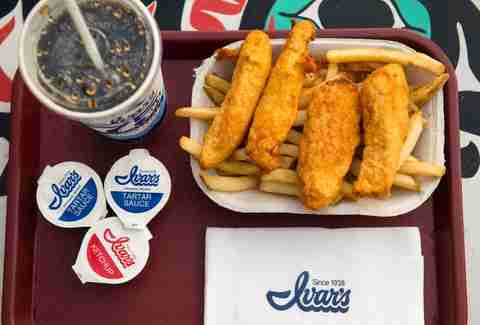 five kinds of fish & chips, including clams, which aren't even really a fish! 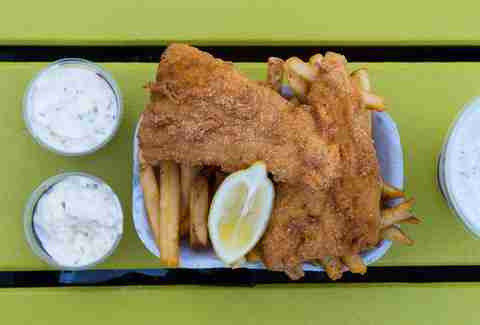 In what used to be the sleepier end of Ballard lives Chippy’s, Ethan Stowell’s stylish (and new-ish) foray into the fish & chips world. The breezy 25-seater opened in May and serves nearly 50 different beers, along with an awesomely rich take on its (sort of) titular dish. 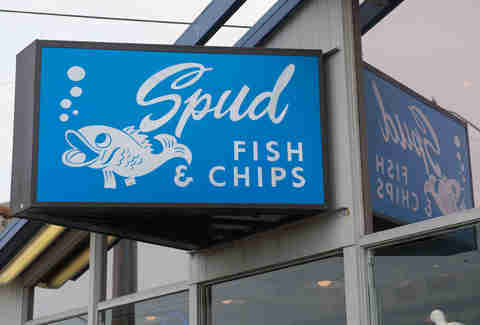 As comical as the fish that graces Spud’s sign might look, their fish & chips are no joke. 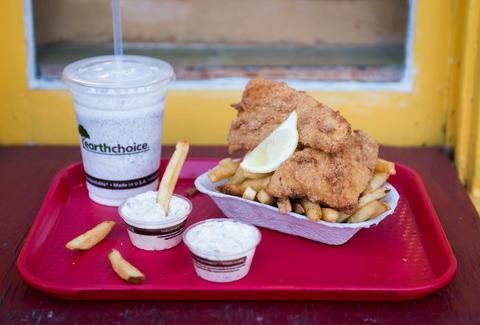 It's been a West Seattle institution since it opened in 1934, and it's also pretty much the only place to get fish & chips on the beach in Seattle. 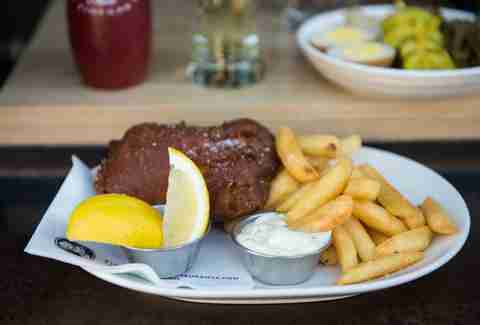 Emerald City Fish & Chips Co. This Rainier Valley spot mostly reps founder Stevie Allen’s Southern roots, with the help of Northwest ingredients. The menu's full of things like crab puppies, po boys, homemade gumbo on Monday and Tuesday nights, and of course, fish & chips, which aren't really Southern... but hey, at least they're fried. If you thought Red Mill was just about burgers, you thought wrong. 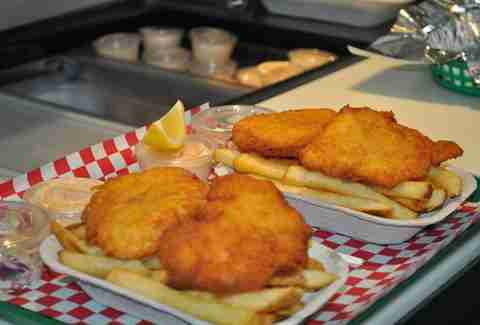 The Red Mill Totem House makes their fish & chips with hand-cut wild Alaskan cod and serves it up with their infamous Red Mill tartar sauce. Bonus points go to this joint for its prime real estate across the Ballard Locks, where after eating dead ones, you can watch live fish swim up river.